Mayor Sims called the regular Council Meeting of May 12, 2014 to order at 7:30 P.M.
Mayor Thomas Sims and Council Members Traci Fallow, Allan Palmerson, and Angelo Cilluffo answered roll call. A motion was made by Councilor Fallow with a second by Councilman Palmerson to excuse the absence of Councilmembers Ruymann and Hawkins. Motion carried. Councilman Ruymann arrived a few minutes later. Motion was made by Councilman Cilluffo with a second by Councilor Fallow to accept the regular meeting minutes of April 14, 2014 meeting as written. Motion carried. Buck Meile stated the problems “on the hill” referring to the Grace Street area are continuing to get worse. He would like to see some progress in the matter. Attorney Dan Glenn had a supplemental handout regarding the marijuana issue. After discussion, the subject was tabled until next workshop. POLICE REPORT: Lt. Porter handed his report to Council members, the mayor, the public workers director, and the clerk/treasurer. He answered a few questions and responded to a few comments. The lieutenant also gave a few pointers for the community watch program when it becomes a reality. Public Works Director, Dan Thompson’s Water, Streets, Cemetery, Parks & Misc report was in the packets. He also reported interviews had been conducted for part time summer help to work with him. That person has been selected a will start the 20th. City Owned Property: A list of all city property was in the packet. The sale of some of this property is a way to obtain the funds for the City Hall/Library building remodel. This is an FYI for council. City Hall Scope of Work: The scope of the project was included in the packets. Tabled until next workshop. Because there are things included in the report that were not recommended by the insurance company, the council would like the Mayor to highlight the items the insurance company did recommend. with the Chamber and Clerk/Treasurer to issue a check to the Chamber of Commerce for $1,000. Councilman Cilluffo seconded. Motion carried. Library: The Mayor received a response letter from Timberland. Included in packet. Water Radios: A quote from Banner Radio for a radio antenna system to replace the current telephone system in the amount of $2,440.00 was included in the packets. Councilman Cilluffo made a motion to purchase the radio system. Councilman Palmerson seconded. Motion carried. LGIP Prospectus: A letter was in the packets explaining the governmental investment pool. 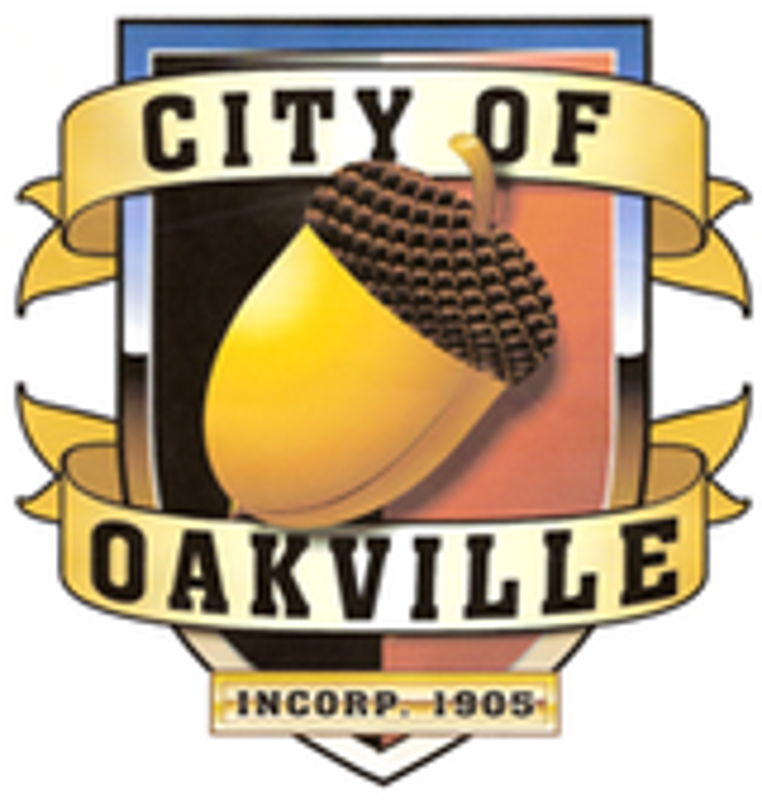 LGIP Resolution #392 – A Resolution Authorizing Investment of The City Of Oakville’s Monies In The Local Government Investment Pool. Councilmember Fallow made a motion allowing the Mayor to sign Resolution #392. Councilman Ruymann seconded the motion. Motion carried. Amy Durga, Oakville’s Clerk/Treasurer submitted Checks #17674 thru #17685 dated 04-30-14 in the amount of $13,303.28. Motion was made by Councilmember Fallow and seconded by Councilman Cilluffo to accept the Clerk’s Report as presented for payment of the bills. Motion carried. Councilman Cilluffo stated the survey regarding Grays Harbor Transit services will be going out in the June billing. He also asked the City Attorney to research how the city is to be refunded tax money paid if the transit no longer stops in Oakville. Councilmember Fallow thanked Sheriff’s Dept. for their hard work. At 8:35 P.M. Mayor Sims adjourned the meeting.